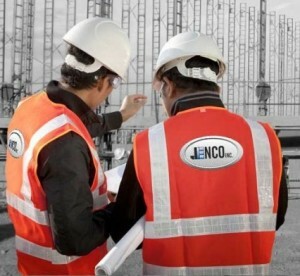 Jenco has gone to great lengths to keep the jobsites safe. No matter the project or task at hand, safety remains our top priority every second of every day, which is confirmed by the fact we have one the lowest EMOD rates among our peers. 10. Maintain a clean workspace, keeping it free from any trash and debris. 9. Refer to MSDS for information while working with chemicals or products with potential hazard. ← Never have to be managed.